Mr. Groode is a spymaster for British Counter-Intelligence. As a spymaster, it is the job of Mr. Groode to formulate the planning, spearhead the movements of his operatives, and analyze the data that is brought back. Each of these jobs is done with excellent precision by this quite enigmatic fan of bowler hats. One job never mentioned and certainly never exercised by him is closeness to his operatives. Mr. Groode is at best a standoffish leader more inclined to impatience than to friendliness. Since getting the job done, though, is the top, and to Mr. Groode, the only priority, he would likely look at any criticism as a waste of time. It is interesting that in this four-book series about a British spymaster the two operatives who assist him in his missions are both American. The fact that the author was an American makes the selection of that nationality for the field agents understandable but that they would hired by, in the first case, and assisted by, in the second, a British counter-espionage director is noteworthy. Mr. Groode, for whom no first names is ever mentioned or even asked for, is in his middle ages with sandy short-clipped hair glinting with gray. He wears glasses which have large amber-colored frames which he moves high up on his forehead when he has to read anything close-up. He has a "pale, bony face with high cheekbones, a long and straight nose, and out-thrust jaw". He is just around six feet in height but his manner of standing gives him the image of someone far taller. He is seldom one for small-talk and even less frequently for revealing his thoughts unless it is very necessary. When he talks, it is with a deep, "occasionally harsh" voice. He is a quiet speaker who makes each word sound intensely clear and precise and he says them with total authority and confidence. Even when he is professing to not know something, it comes across as though knowing he was not knowing was in itself something to be applauded. This is not to say that Mr. Groode is in any way self-interested. He is just certain that if he does not know something at the time, it will come eventually. The series is interestingly broken into two distinct parts by the identity of the main character of the books. While Mr. Groode is the lynchpin which holds the series together, the first two books deal with the efforts of a would-be author, tired of low-interest stints as a small paper reporter who wants a break from the tedium and is fairly eager to help out an old friend and mentor when that man is asked by Mr. Groode to find someone to aid him. Jim Furlong is a very intelligent, reasonably physically fit man whose best asset is his appearance which is described as so conventional as "to seem completely familiar", a pleasant way of saying that for the most part Furlong is as everyman as one can get and thus basically unnoticeable. This is an admirable skill to have when trailing someone or trying to fit in a crowd. Furlong meets Mr. Groode for the first time when his mentor arranges a meeting and though Furlong is put off by the aloafness of Groode, he is still available for further employment when the second mission comes along. This second adventure is noteworthy for the fact that Groode does not take any appreciable part other than send Furlong out to work. The second two books replace the amateur agent with an experienced and quite capable professional, William Pepper. As the adventures take place about a decade after the end of WWII and Pepper is well seasoned already, it is not surprising that he had earned his reputation in the OSS. He is known to the other Intelligence agencies, especially the Soviets, indicating more than a few successes in his career. It is not stated for which agency or department Pepper is working other than he deals in counter-espionage but he is definitely an agent for the American goverment and not a part-time employee of Groode like Furlong. 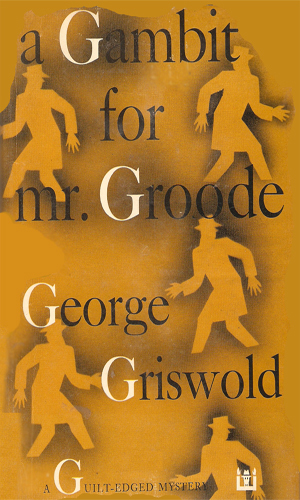 In the first of the Pepper books, Groode does not appear until halfway through the story but it is obvious when he does that he is well aware of the events that had gone on. Pepper is, like Furlong, a bit put off by Groode's brusque manner but they warm to each other eventually. Jim Furlong was unemployed and looking for an interesting job when he received a call from an old friend looking for someone to assist his client. That man was Mr. Groode who was looking for a Czech who disappeared and whom, it seemed, everyone wanted to keep hidden. Once again Mr. Groode has called upon Jim Furlong to assist in a case, this time concerning a spy ring involving possible Hungarian. Since Mr. Groode does not want to take any overt role, it is up to Furlong to determine who is on his side, if anyone. William Pepper is an experience American operative who is investigating an uprising in Beirut of a radical Islamic group backed by the Soviets. 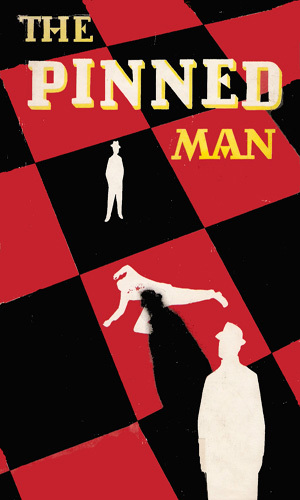 He is alone in this when his contact disappears and no one can help him except for the enigmatic Mr. Groode who has a penchant for showing up when he is most needed. 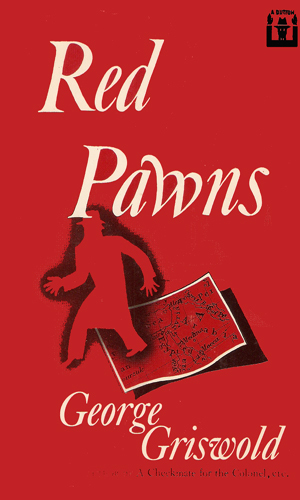 In Switzerland following an American suspected for spying for the Soviets, William Pepper is trying to let the man lead him to his handlers when he is suddenly assisted by Mr. Groode who also has interests in uncovering the spy ring. I pondered a long time debating whether thess books in which Mr. Groode operates were in one series with Groode as the main character or two series in which he is a supporting character. There are precedents either way, from Craig Thomas' Kenneth Aubrey who guides Mitchell Gant in some books and Patrick Hyde in others, to Berkeley Mathers' The Gaffer who directs the works of Peter Feltham, Idwal Rees, and James Wainwright. In the former I decided Aubrey was important enough to govern the series while in the latter I opted against the Gaffer. It is apparent that I chose to go with Mr. Groode though I give both Furlong and Pepper mention as they decidedly deserve it. 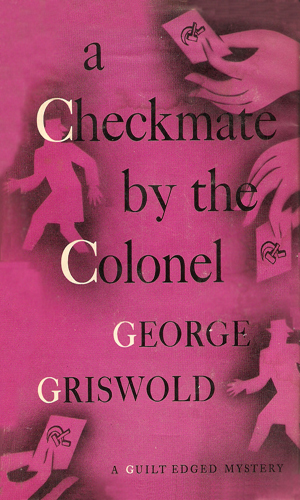 George Griswold was a pseudonym for the American author Robert George Dean who decided, after publishing several well received mysteries, to try his hand at a different genre so he took the name of Griswold and came up with Groode. The four books definitely show the mystery bias/experience of the author, the first two far more than the latter. Furlong's adventures are more of a reactionary than a man of action as would be like many of the detectives in fiction. Pepper's two adventures still have that feel but Furlong is a go-after-them kind of guy, Pepper is a get-there-first man. I preferred the Pepper books but I liked the almost laid-back attitude Furlong had.